We’d love your help. 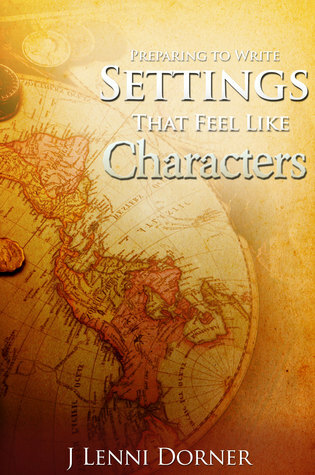 Let us know what’s wrong with this preview of Preparing to Write Settings That Feel Like Characters by J. Lenni Dorner. Published March 26th 2015 by Smashwords, Inc.
To ask other readers questions about Preparing to Write Settings That Feel Like Characters, please sign up. It takes great writing skill to make a setting/place feel real and dynamic, so that it "comes alive" for the reader. This book provides tons of information on how to incorporate the setting into the story, so that it becomes an integral part of the characters' experience. This is a reference guide that any writer can turn to again and again, for various writing projects, and as the need arises. This is short read. I read a lot of book about the writing craft. There is not quite one out there like this one. Definitely worth adding to your library. Author of the Existence Series. Fractions of Existence is now available. Operation Awesome team member organizing the Debut Author Spotlight. J competed in Write Club 2014 &2016. The Creative Writing Institute held writing contests that resulted in J Lenni Dorner being published in "WRONG! : A themed anthology 2014" and LOST! : A themed an Author of the Existence Series. J competed in Write Club 2014 &2016. The Creative Writing Institute held writing contests that resulted in J Lenni Dorner being published in "WRONG! : A themed anthology 2014" and LOST! : A themed anthology 2017. J self-published "Preparing to Write Settings That Feel Like Characters," in 2015. Winner of the Write Edit Publish Now flash fiction "Youthful Frights versus Adult Fears" Halloween challenge 2015. Signum University's Mythgard Institute held a creative writing contest in the autumn of 2015 called "Almost an Inkling" in which J Lenni Dorner was the Popular Vote Winner of week 6, resulting in publication in The Soul of Wit. The Operation Awesome Flash Fiction Contest 12 win in April 2016 went to J Lenni Dorner.